Bishop David Alan Bard is the presiding bishop of the Michigan Area. 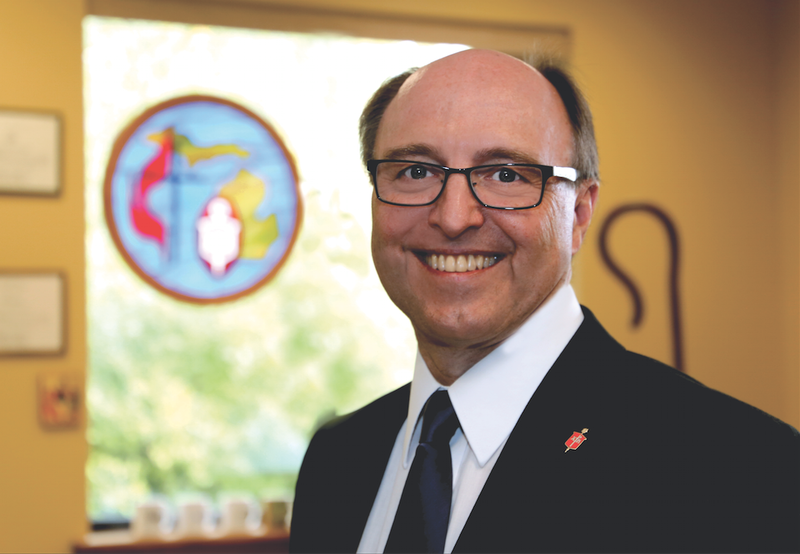 Prior to arriving in Michigan in September 2016, Bishop Bard was serving at First United Methodist Church in Duluth, Minnesota since 2005. He was elected to the episcopacy on July 13, 2016 at the North Central Jurisdictional Conference held in Peoria, IL. He has been in ministry for more than 30 years and served in many roles within both the Minnesota Annual Conference and the General Church. Bard was a General and Jurisdictional Conference delegate in 2000, 2004, 2008, and 2012. He was an episcopal nominee in both 2004 and 2008. Within the Minnesota Conference, Bard was chair of the Episcopacy Committee and the Higher Education Ministry Team, and he served on the Board of Ordained Ministry and the Congregational Response Team. He was also the conference parliamentarian. He was a district superintendent from 1998 to 2005 and spent three years on the Commission on Religion and Race. Within the General Church, Bard serves on the Study on Ministry Commission, the Committee on Faith and Order, and the North Central Jurisdiction Committee on Episcopacy. He has also previously served on the General Board of Higher Education and Ministry, the Commission on General Conference, and the Commission on Theological Education. Bard has a wife, Julie, and three adult children. In his free time, he enjoys music, reading, baseball, and walking outside. © 2019 All rights reserved. Michigan Area of the United Methodist Church.